In the spirit of an Italian aperitivo, this is one event you won't want to miss to expand your network in 2019! Hosted by L.B. Lewis, Oakland-based author who got to #12 on Amazon, her mission is to organize events to bring together those who love traveling and culture -- two themes in her writing. 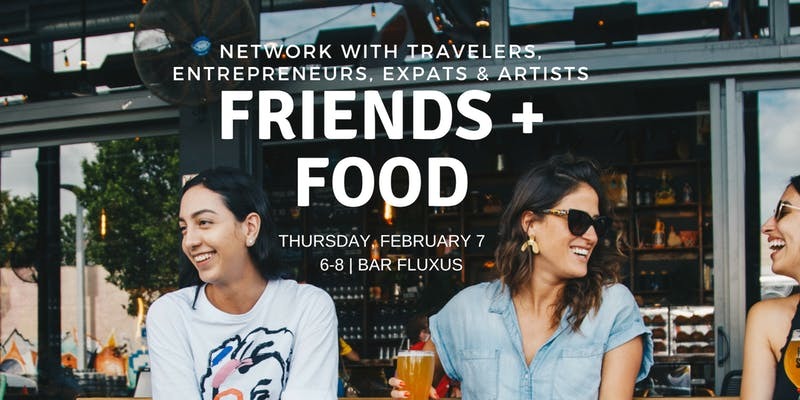 Eat delicious focaccia and expand your network in real life at the best bar in San Francisco, Bar Fluxus. With an amazing happy hour, friendly bartenders and eclectic art, it's the perfect place to mix and mingle with select travelers, entrepreneurs, expats, and artists. In addition, have the chance to win prizes, including wine! Whether you live in San Francisco or are just visiting, we look forward to welcoming you. For a list of upcoming events, including writing workshops, please visit www.LBLewis.com. Interested in supporting local artists and/or promoting your business? Sponsorships (food, drink, prizes) and advertising opportunities available. We'd be delighted to hear from you: press@lblewis.com. Bar Fluxus is a new downtown cocktail bar & intimate live entertainment venue committed to adding color and spark to the San Francisco nightlife scene. Great bars and great art accentuate creativity, conversation and connection. Bar Fluxus embodies the state of mind that ART is LIFE: LIFE is ART. Very Be Careful at the Underground Cumbiamba SF!